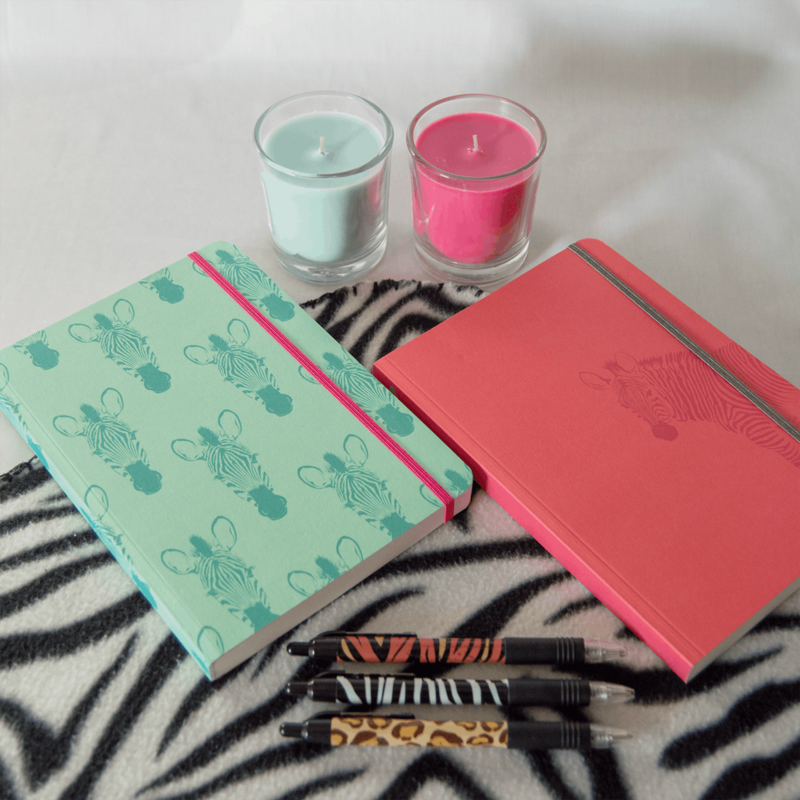 Full of surprises, our Zebra Bottom A5 notebook rocks the safari chic look. Why the name? Well, you'll have to turn it over to find out! 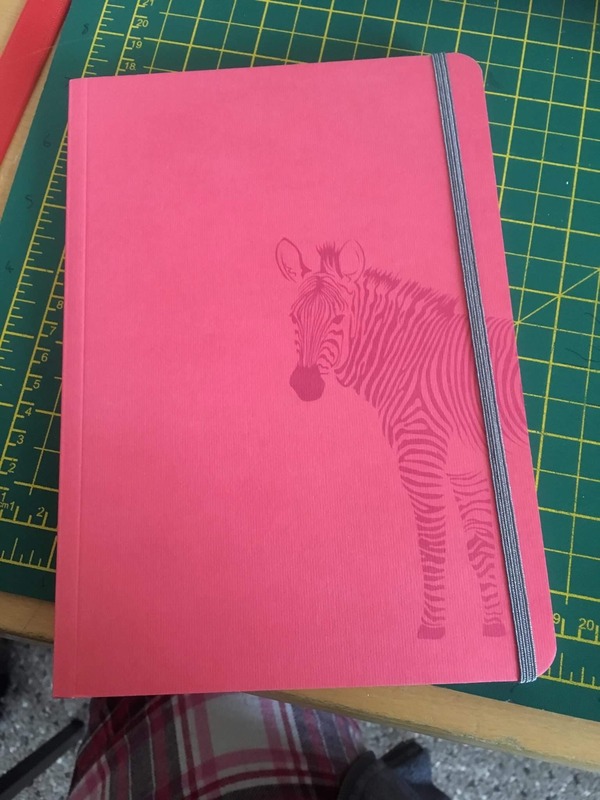 A quality, chunky A5 notebook made by the good folk at Notebook Love, the Zebra Bottom features a dark coral/pinky-red design on a thick textured cover and silver elastic closure. Open it up and lots of funky zebra heads in a contrasting teal colour will look you up and down. With 192 ruled cream pages (Forest Stewardship Council approved), it is perfect for writers, journaling, to-dos or the thoughtful gift. You can never have too many notebooks! Thanks for such a great review and amazing pic with *MATCHING CANDLES*!! The notebook has high quality cardstock cover. The design on the cover is simple, I especially love the colour which is calming to the eyes, and the zebra is a fun detail. The contrasting colour of the elastics is a great match to the apricot of the cover. The paper is thick and can handle a lot of different types of pens. The lines are a bit too wide for my personal taste. But that is why it would be great for a recipe book, for example. It is a great notebook to have around and I already know I would enjoy filling it, plus that I would be a returning customer! Thanks again for such a thorough, fair and positive review! So glad you like! 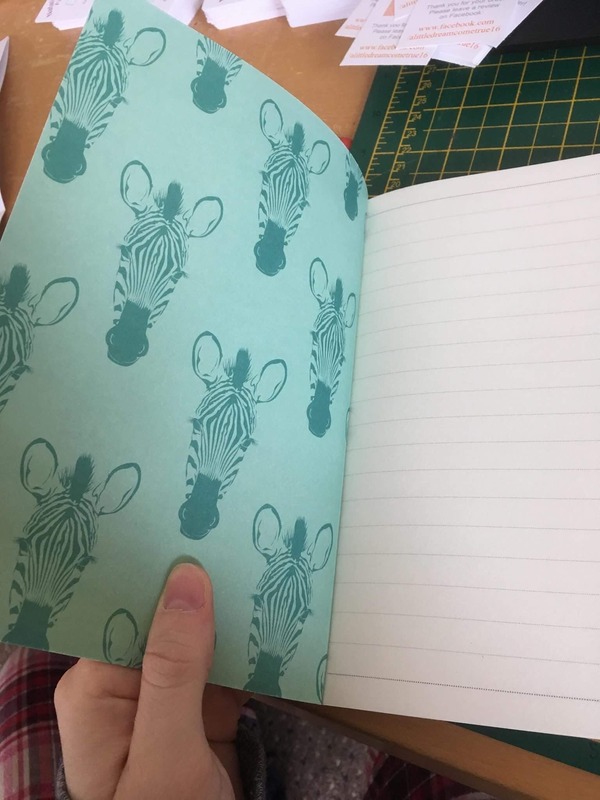 Zebras are my absolute favourite animals so when I saw this notebook, I just HAD to order it! It was posted within a day and arrived within 2 days which was great! The notebook is a beautiful colour, the paper quality is amazing and I like the fact that the lines are a little further apart than the average notebook. I also love that it has an elastic closure! I’d definitely recommend this notebook to a friend. Best notebook I’ve ever bought. I have purchased many *cough* notebooks and this is one of the best. The quality of the paper is superb, lovely and thick and buttery smooth. It arrived very quickly and well packaged, highly recommend Notebook Love! Thanks so much for such a great review Carol!